Is there an off button for this device or some ? BEST ANSWER: It doesn't seem to need an off button. Once the device is charged, there shouldn't be any further drain on the power bank. Or just unplug from whatever you're charging to conserve what's left. The LED light goes off automatically. There's a power button to turn on/off the light. 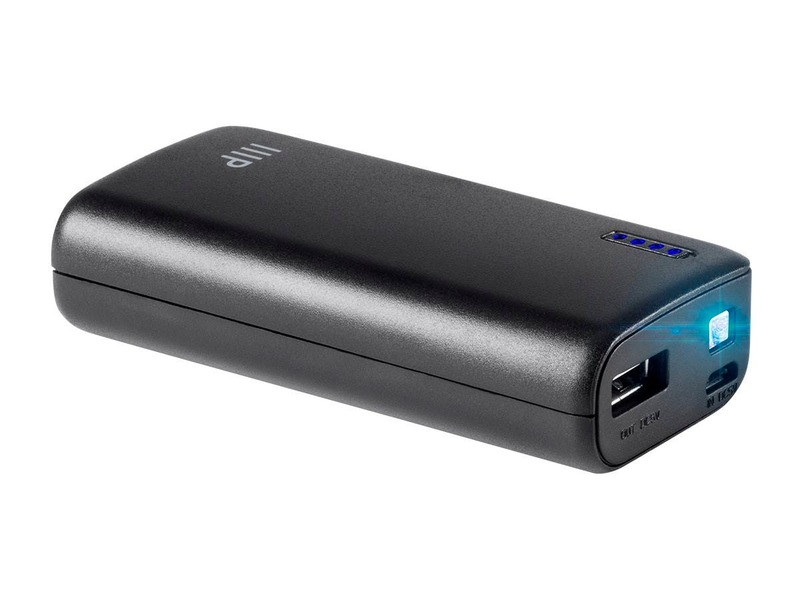 The power bank turns off automatically when the device you are charging is fully charged or disconnected from the power bank. No! The button is for the light. If nothing is plugged in, it’s off. Yes there is a power button, that doubles as the flashlight button. BEST ANSWER: Thank you for your question. You would get about a single charge for an iPhone 7 plus and you would likely not receive a full charge when charging a tablet that will have a much larger battery than a phone. The 10,000 will give you about 5-6 charges for the iPhone and about 1 charge for tablets. I hope this helps. The device worked correctly for only a short while. Then it seemed like the on/off switch was faulty, and then the device failed completely. If I had realized it had a full year warranty (most devices this cheap don't!) I would have returned it. Bought 6 but only charged 3 so far. No issues. The unit charged my iPhone 6s+ from 27% to 99% before it ran out of juice. Compact. Lightweight. So I am satisfied so far. I bought two one for my wife and an extra have tested both and work well with are phones will buy a few more soon. Small and powerful. Easy to carry. 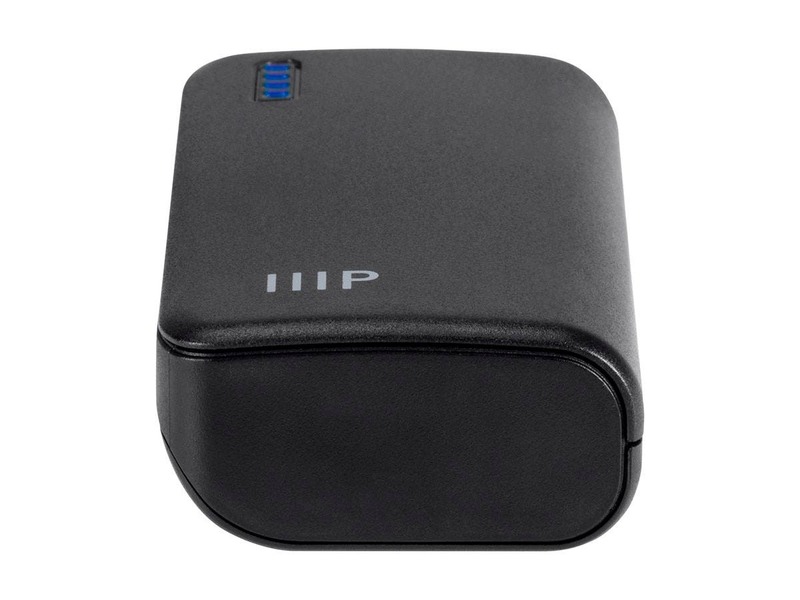 Fits into a pocket and charges my iPhone fast! Only used it a few times over the course of a month, and then it died. Will not charge. I'm finding more and more that products I buy from Monoprice just aren't lasting. Sure, the prices are great, but you end up having to replace bought items so frequently, it doesn't make sense to waste time and money buying from them anymore. Can't beat the price and it works fine. No fifth star because I thought it would hold its charge a little longer and there are no real instructions with it. But oeverall, great deal. 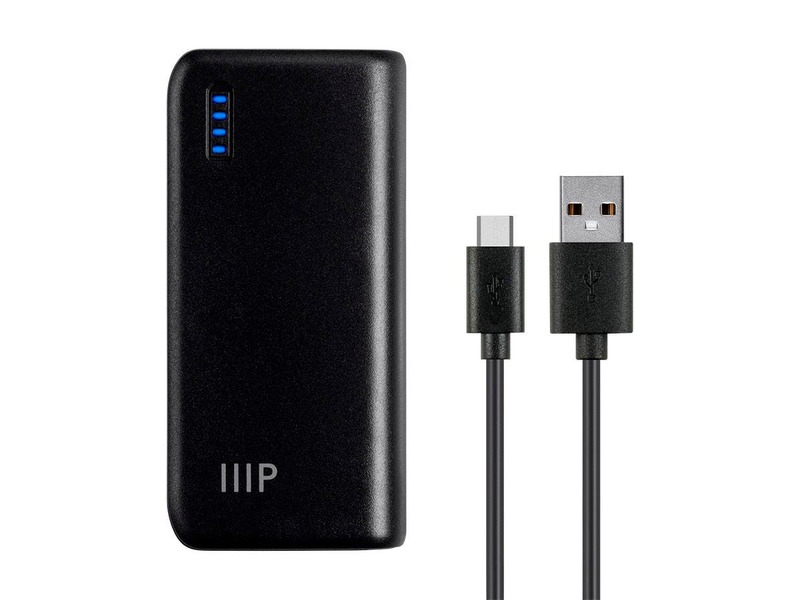 this is very light and small, its easy to forget its in my pocket and gives me enough juice for my phone when its running low. the light is a nice bonus too! Great value. Highly recommend. Holds charge while waiting for use. Well built. ideal balance between physical size, usability. 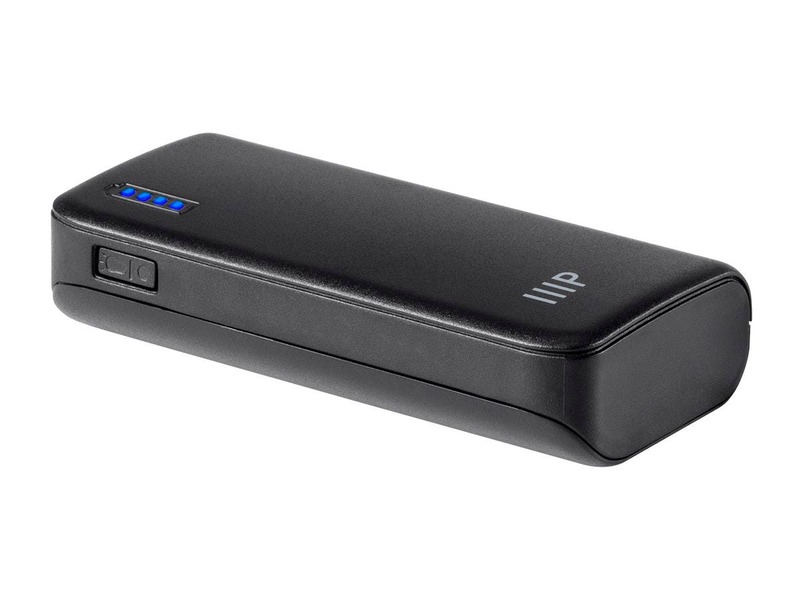 I have a 4000 and a 10000mah battery from Monoprice, but the 4000mah is the battery pack i end up reaching for more often. I combine this with a short lightning cable and can hold this battery behind my phone in one hand. for me this is far better than trailing long cables everywhere. 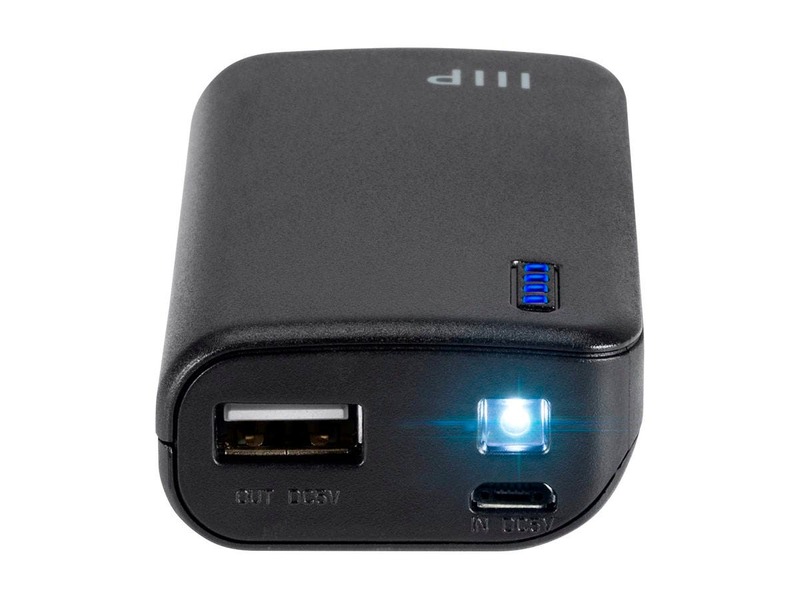 I have larger capacity batteries, but the 4000mah battery form factor that fits in the hand. the obloid shape is also more comfortable to cup in my hand than a smaller, cylindrical battery pack too. Used them for one week, one works exactly as advertised. Yes, I reported it to Monoprice, yes Monoprice will replace. But do you really want to go through this experience?